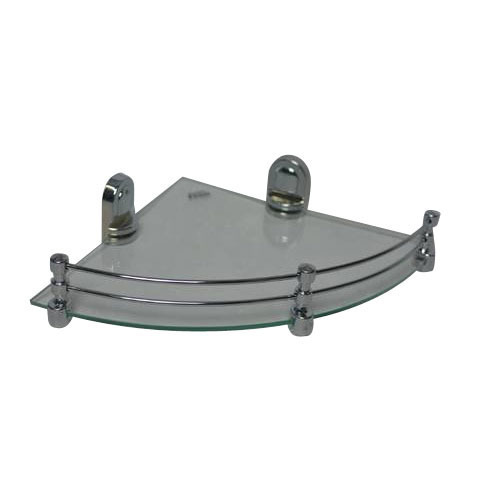 Being a well-distinguished company in the market, we are into offering Corner Glass Shelf. Incorporated in the year 2010, Laxmi Sanitations is one the famous names in the market. We are a sole proprietorship based firm. The head office of our company is located at Chawri Bazar, Delhi. Reckoned as one of the emergent companies of the industry, we are extremely immersed in manufacturing, retailing and wholesaling a premium quality range of Waste Coupling, Sink Strainer, Towel Holder, Steel Grip Bar and many more. Our experts carefully test the quality of products on several strict parameters, before allowing them to use in the production of assortment, just because we don’t want to leave any chance for quality degradation. Our assurance making the delivery of orders within committed time and maintaining transparency in business practices have enabled us placing our name on the list of top-most organizations of the industry.